In Denver, if you are charged with Driving Under Restraint (DUR) or Driving Under Suspension (DUS), you’ll need the services of an experienced Denver driving under suspension attorney. Charges of driving under restraint or driving under suspension are extremely serious that can severely impact your ability to operate a motor vehicle again. With a suspended or revoked license, you’re much less likely to be able to travel to school or to work, which means that there are severe financial consequences for you as well. Drivers who are ages 18 and under will have their licenses suspended if they are given 6 points in a period of one year, or if they have 7 points at an time. Drivers who are between 18 and 21 will have their licenses suspended if they are given 9 points within a period of one year, 12 points within two years or 14 points before they turn 21 years old. Drivers who are 21 and over will have their licenses suspended if they are given 12 points within one year or 18 points within two years. Although the court will sometimes grant limited suspensions, which allow individuals to drive to work or school, these cases are very rare. If you have a suspended license because of a DUI or DWI charge, you may only be given a limited suspension if you agree to install an ignition lock system in your car, which will test your blood alcohol content before allowing you to turn on the engine. After your period of suspension is up, you are not immediately allowed to drive again. You must first apply for your license to be reinstated. The length and complexity of the reinstatement process can greatly vary depending on why your license was suspended in the first place. If you are facing charges related to driving with a suspended license, don’t hesitate to contact Dan Murphy, an experienced Denver suspended license attorney, for legal guidance and assistance as soon as possible. The charges of Driving Under Restraint and Driving Under Suspension, that is, driving while your license is revoked or suspended, are dealt with seriously by the Denver court system. The charges are misdemeanors, but a DUS or DUR conviction nevertheless means a mandatory five days in jail and a $50.00 fine. A judge can further impose jail time of up to six months and fines up to $500 on those who have DUS or DUR convictions. If an alcohol-related offense is the reason your license was originally suspended or revoked, for example, if you were arrested for DUI because your BAC was higher than 0.08, you can face up to a year in jail as well as a $500 fine for a first-time DUR or DUS conviction. A second conviction for DUS or for DUR carries a mandatory sentence of ninety days but also a possible two years in jail with a fine of up to $3,000. DUS or DUR charges are serious matters that can cost serious money, real jail time, and the further loss of your ability to drive. A conviction can also negatively impact your future, and may lead to difficulty finding employment. If you face any of these driving-related charges, protect your freedom, your family, and your future. Talk right away to an experienced Denver driving under suspension lawyers like Daniel M. Murphy. 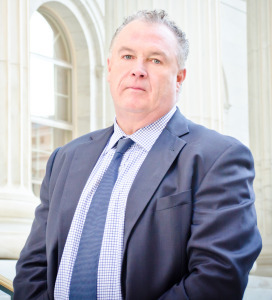 Criminal defense attorneys like Dan Murphy can offer legal representation and advice in your DUR or DUS case. Many people fail to take DUS or DUR seriously because they are misdemeanor charges, however, you should not make this mistake. An individual charged with DUR or DUS still faces serious penalties, and you will need the assistance of a knowledgeable lawyer to fight back and defend your rights. Under Denver’s Habitual Traffic Offender (HTO) law, having a numerous amount of major traffic offenses usually results in a long-term driver’s license suspension. The major traffic offenses include DUID, DWAI, DUI, DUR, DUS, and reckless driving among others. When a driver is convicted of three or more types of major traffic offenses during a seven-year period in Colorado, they face 5-year revocation of their license. If you are experiencing any major traffic offenses such as DUR or DUS, or even if you’re at risk for license revocation, speak to Daniel M. Murphy and obtain skilled, experienced legal counsel right away. As an experienced attorney, Dan Murphy is a knowledgeable and compassionate Denver drug crimes attorney. you will find that during your initial free consultation to the resolution of your driving issue, Denver driving under suspension and drug crimes attorney Dan Murphy will fight to obtain the best possible outcome and resolve your case promptly so that you can move on from the charges. Schedule a free consultation with Dan Murphy at his Denver office by filling out the by calling 303-996-8998 or filling out the form via the website. Dan Murphy always values the attorney-client relationship. The law office is located at East 7th Avenue, and it’s two blocks east of Broadway. Enjoy free parking and payment plans.